Participants in this activity will use images and symbols provided by artists Jerry Gant and Terry Boddie as well as make their own, to make unique cyanotype prints. This activity will provide an opportunity for creative collaboration with the artists in the moment. Please RSVP to info@aferro.org to participate. A series of original prints by Gant and Boddie will also be available for sale in art shop. Terry Boddie’s work as a photographer and multi-disciplinary artist explores the historical and contemporary aspects of memory, migration and globalization. The images often blur the distinctions between photography, drawing and painting. 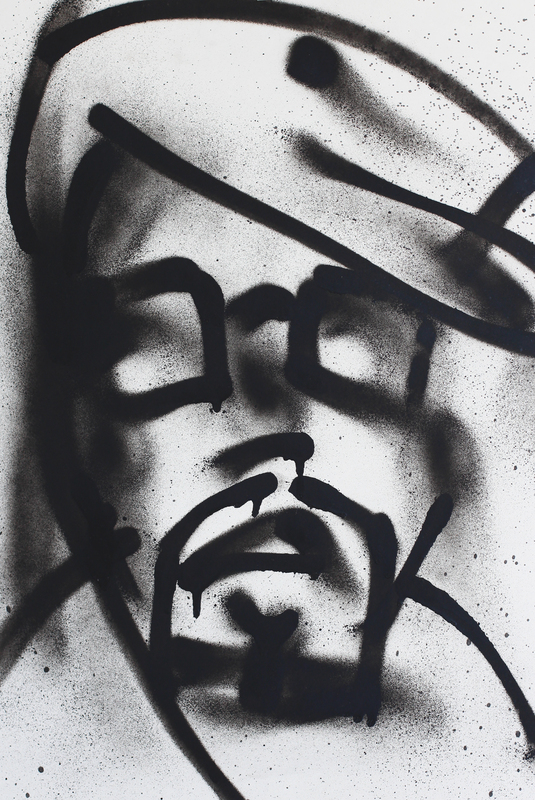 Boddie received his BFA from NYU Tisch School of the Arts in 1989 and an MFA from Hunter College in 1997. Recently his work has been exhibited in “KREYOL Factory” at the Parc La Villette in Paris, France and in the show “Infinite Island: Contemporary Caribbean Art” at the Brooklyn Museum. His work has also been exhibited at the Smithsonian, The Studio Museum in Harlem, the Bronx Museum of the Arts, and the Philadelphia Museum, The Museum of the Americas, among other venues. Awards and honors include the Studio Museum of Harlem Artist In Residence, Center for Photography at Woodstock Fellowship, the New York Foundation for the Arts Fellowship, The Center for Book Arts Artist in Residence, and Marie Sharpe Walsh Artist in Residence. Terry Boddie received a 2009 NJ print fellowship from the Brodsky Center, a 2009 Fellowship from the New Jersey State Council on the Arts and a 2011/2012 photography grant from the George and Helen Segal Foundation. Jerry Gant seeks one hundred African-American men for a historic invitational group photograph being created as part of the Unusual Suspects project. Please contact info@aferro.org to express interest in participating. All welcome to come witness. Bradley, Gant, and other speakers will discuss the artist’s specific philosophical and political motivations and intentions in conceptualizing the entire Unusual Suspects project, as well as the specific context of time and place: Gallery Aferro, downtown Newark, and 2014 in America. Lisa Bradley is an interdisciplinary artist and theorist, whose practice spans the genres of performance, sculpture, sound, writing and video. Her work queries concepts of the everyday and the absurd, as expressed through the lens of popular culture and critical race theory. Her work is most compellingly informed by Dada, ethnography, post-colonial theory, and The Cartoon Network. Lisa’s arts training includes the BFA degree in Sculpture & Extended Media from Virginia Commonwealth University, the MFA in Performance Art from the School of the Art Institute of Chicago, and the MA in Art & Media Practice from The University of Westminster, London, UK. A National Endowment of the Arts award recipient, Lisa is a Studio Fellow alumna of the Whitney Independent Study Program in New York, as well as a former artist-in-residence at Whitechapel Gallery in London, UK. Bradley utilizes collaboration as a tangible material in her performative installations and interventions, and has most recently collaborated in exhibitions at the Museum of Modern Art in New York, with master artists William Pope L. and Martha Rosler. Winding it all down, with performance. Come celebrate with us as we close all spring shows.